Item0001 - Abbotts [Tally No. 503654]. 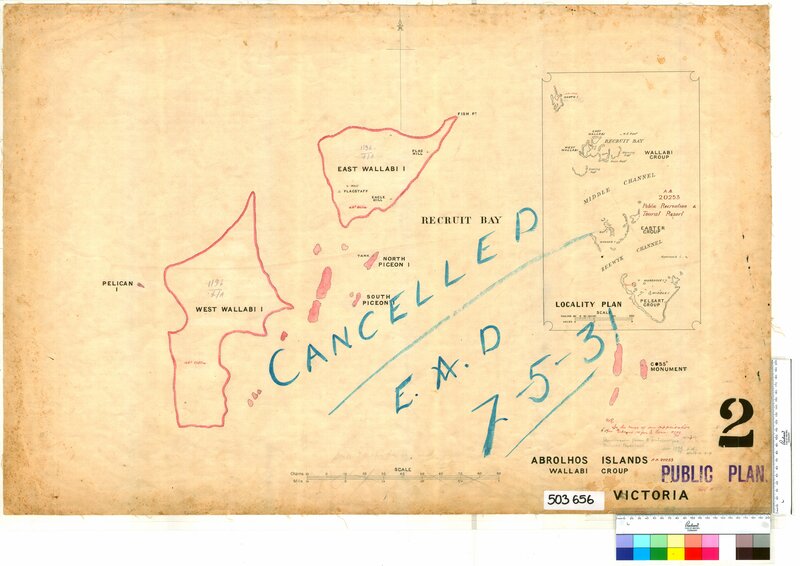 Item0002 - Abrolhos Islands, Pelsart Group [Tally No. 503655]. Item0003 - Abrolhos Islands, Wallabi Group Sheet 2 [Tally No. 503656]. Item0004 - Abrolhos Islands, Easter Group [Tally No. 503657]. Item0005 - Abrolhos Islands, Houtman Abrolhos Sheet 4 [Tally No. 503658]. Item0006 - Agnew Sheet 1 [Tally No. 503659]. Item0007 - Agnew Sheet 2 [Tally No. 503660]. Item 0003 - Abrolhos Islands, Wallabi Group Sheet 2 [Tally No. 503656]. Confirm Item Request: Abrolhos Islands, Wallabi Group Sheet 2 [Tally No. 503656].